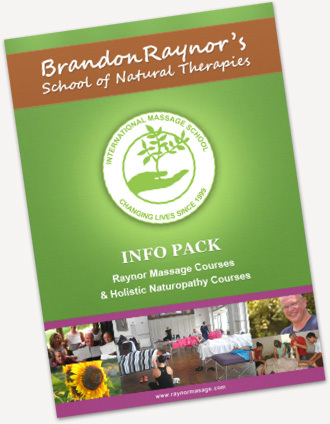 We hold Raynor massage courses all across the UK. If you’d like to learn more about somewhere specific, click the links for each location below. Brandon Raynor, founder of the college, created Raynor massage because he saw the need for a simple yet powerful style of massage therapy. Raynor Massage is very different to most massage therapies available in the UK because it was developed from Eastern styles of healing, such as Shiatsu, Ayurveda and traditional Thai massage. Raynor massage has at its heart the removal of all tension from the body. Therefore, our focus is on holistic treatment and practical training. Our courses are hands on and practical, there are no written exams, we do not expect you to memorize Latin names and you will be massaging from day one of the course. We also find that students learn a great deal from being massaged themselves, so you will also receive lots of massage during our courses. This enables you to feel what you will be offering your clients. Our courses are more efficient and teach better technique than many other courses which are years long. We do not just focus on specific areas of the body and teach you how to do a set routine or to work specific muscle groups. Instead, we teach you to develop your intuition and sense of touch and work with the client’s breathing pattern to unlock deep seated stress and blocked energy. Our goal is for you to make the massage treatment suit the client, therefore we do not teach a routine massage. Oftentimes, the type of massage available to clients works purely on a surface level, working lightly to provide temporary relaxation. Raynor Massage is different. The word “re-lax” comes from two words, ‘re’ to return to and ‘lax’ meaning looseness. We feel that this perfectly encapsulates the aim of a Raynor Massage, which is to remove all tension from the body. We train you to feel where bands of tension run through the body and then how to release these bands. It is a holistic massage and we recognize that tension in one part of the body may be held, or ‘anchored’ elsewhere – this is the approach that we teach you. In just a few days after starting your training you will be able to achieve results that people would have expected you to spend years training to gain. Raynor Massage takes the approach that the body is an integrated whole, its not sectioned off into physical structure and emotions, one will always effect the other. A person stressed by work or life events will ‘store’ this tension in the body, people may have deep set emotions from past traumas that have a physical effect on the body, pulling it out of alignment, causing headaches, stiff shoulders, back ache, insomnia and a whole host of other problems. Raynor Massage aims to get to the heart of this emotional and physical tension, freeing the person to truly ‘re-lax’ and be free from tension. Our courses have lasting benefits for our students, and we appreciate the kind words they’ve given us over the years. We’ve included a few testimonials from our UK students below, read on to learn more about our amazing students. Thanks for the courses – I had a fiiiiiiiiiine time and learned loads. Gave my sister a good 1 1/2 hour massage – she said it was the best she’d ever had. That felt really good. A nice compliment to the massage style and of your teaching as well…good skills. I had my first day back in the Royal Bank of Scotland office today. Man, it was a let down. Shirt and tie. Stuck at a desk. I give myself 2 weeks max…then full time massage. The advanced course was an amazing experience! … I have had the confidence to go full time as a massage therapist. I was very stressed and ill from work. I took time off to do the Diploma course on offer. It was so interesting to watch and practice in a great atmosphere. It has also done me the world of good mentally, physically and emotionally. My only regret was not doing the advanced course! Thought I’d e-mail you to thank you for for all your help prior to my attending your wonderful 10 day massage course in Dublin Feb ’07. I have to admit to being “gob-smacked” by your technique. The efficiency with which you can move Qi using your technique is astonishing to say the least, I have never learned so much in such a short space of time. Brett is a great teacher, he couldn’t have been more helpful. Finally, I was lucky enough to massage a lady who is a Swedish masseuse, she commented that the massage I gave her was the best she’d ever had! (This was on the final day of the course when members of the public are invited for massage).